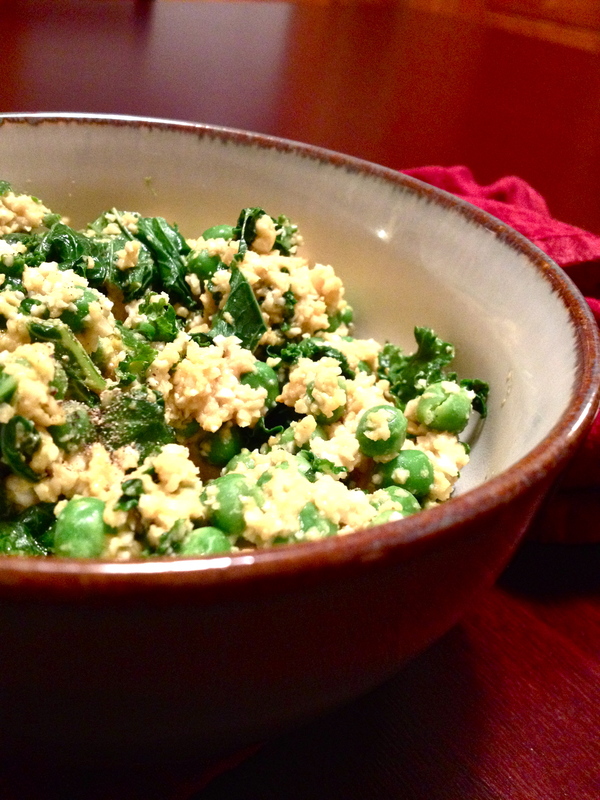 Global Mala + “Cheesy” Cauliflower Rice & Greens – .rebel grrrl living. I’m excited to share with you a total go-to dinner recipe that I’ve been making for a while. It’s fast, nutritious, and totally yummy. But before I do that I want to talk about what I did on Saturday afternoon. September 22nd was the internationally recognized Global Mala. On or around the fall equinox, yogis and spiritual peace-seekers come together to unite for the common cause of peace and harmony in the world. One way to consecrate this intention is to perform 108 Sun Salutations. 108 is a significant number in the yoga community, as there is believed to be 108 marma points, or sacred sites of the body. Now on to the food. This is my favorite version of raw “rice.” It’s so simple to create a rice-like base with a head of cauliflower. Simply take half a small head of cauliflower, chop into chunks, then process in your food processor. Once you’ve done that, just add your spices in whatever amounts you want. Chop and process your cauliflower. Then steam your peas and kale til soft. Add your cauliflower rice and greens to the same pot, then sprinkle in your toppings/spices. I didn’t give measurements, because I think each person’s pallet will differ. But this flavor combination is a winner, I promise! (Note: If you’d like to make this a totally oil-free dish, you’ll have to add a little water to make the nutritional yeast creamier). It’s such a satisfying meal, and 100% vegetable based! No grains, no flours, no soy…Just veg. Love it. 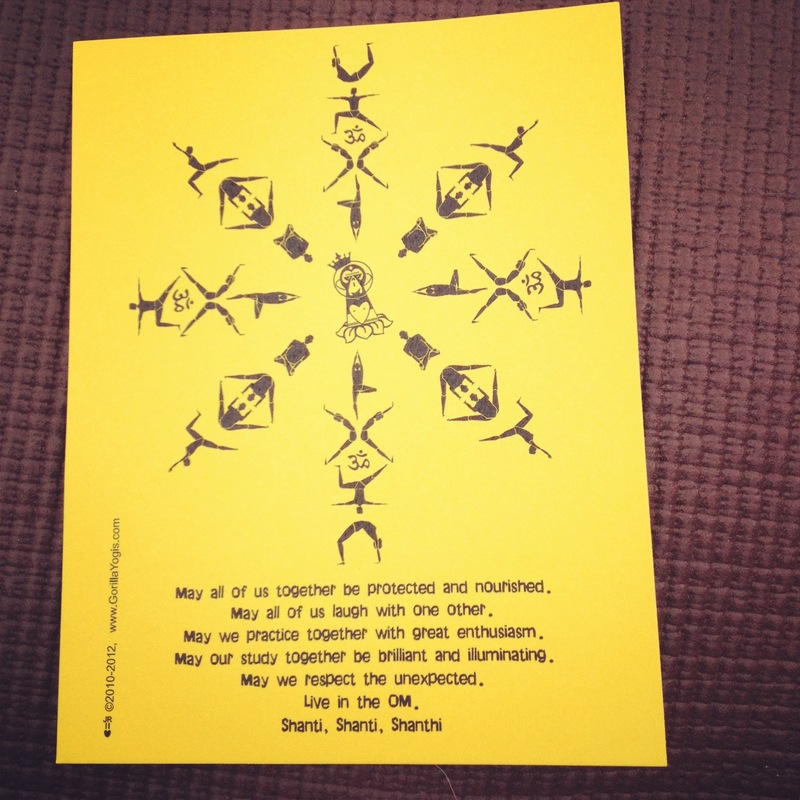 Did you do anything to celebrate the Fall Equinox? Have you tried cauliflower rice? How was your weekend? This sounds so delicious! I love cauliflower and am always amazed by the raw rice recipes! You can do so much with it!!!! This looks delicious! And yay for the 108 sun salutations, I did that at the start of summer and it was an incredible experience and wow was it challenging and so intense. All in a great way, of course. To mark the start of the autumnal equinox my studio offered a sacred sounds vinyasa flow class with live drumming and Indian chanting/throat singing. It was so so amazing!! What a great way to celebrate the new season! Oh my gosh, that sounds like a really wonderful class! Ive been on a huge cauliflower kick… I feel like I may want to steam the cauliflower a bit and keep the kale raw. Either way this sounds great! Good call on the switching of the steaming, Lizzie…Raw cauliflower can be a bit rough on the system. This sounds amazing! 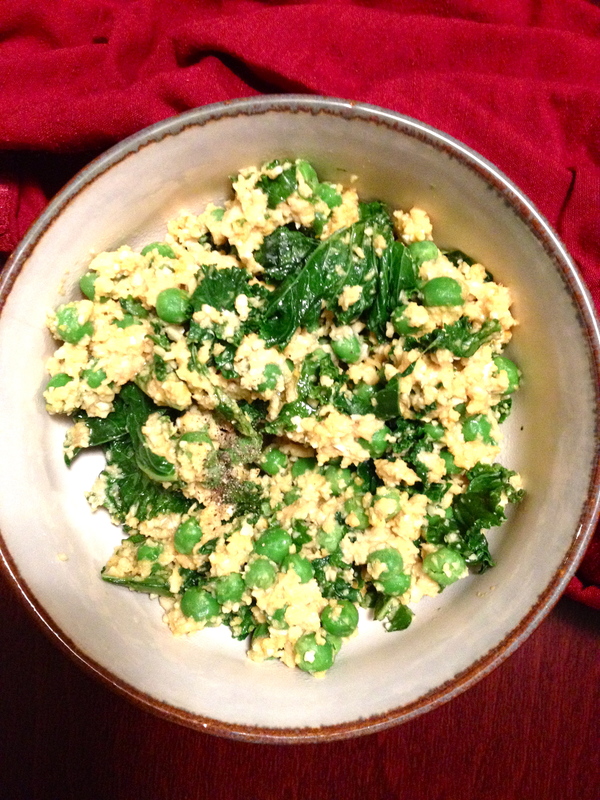 Cauliflower and peas are officially on my grocery list for next week! Yay! 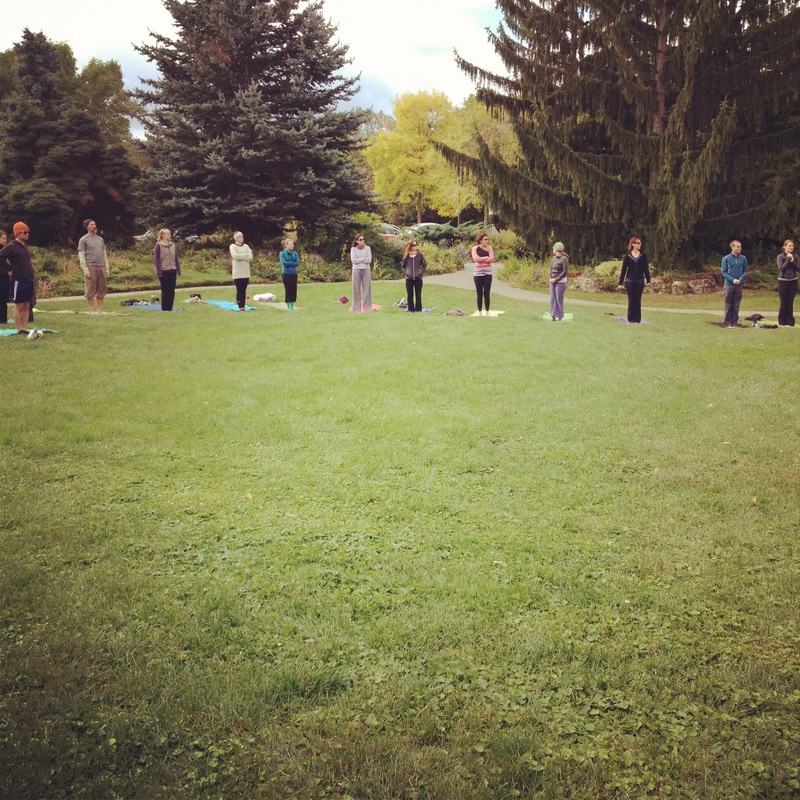 I went to a local 108 Sun Salutations party…. and I made it through them all :) Pretty awesome experience, ended by am amazing chanting session – positive vibrations, indeed. We didn’t do any chanting, but that sounds super great! Yes, sorry you’re missing the nooch. Is that something you’re allowed to gradually introduce back in?